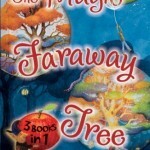 Although I enjoyed many of Enid Blyton’s books as a child, including The Famous Five, Malory Towers and St. Clare’s, I didn’t read The Magic Faraway Tree stories. I had no idea what was so special about the tree and its many inhabitants but once my daughter and I started reading we were both hooked, not only did we read The Enchanted Wood but also The Magic Faraway Tree and The Folk of The Faraway Tree. The Story: Joe, Beth and Frannie move to the country and discover The Enchanted Wood. A group of elves introduce them to The Magic Faraway Tree which is very tall and inhabited by various different characters including The Angry Pixie, Silky the Fairy, Mr Whatzisname, Dame Washalot and Moon-Face. At the top of The Faraway Tree is a huge cloud and the characters can climb a ladder to visit the land at the top. The lands and their inhabitants change regularly, some lands are much more fun and exciting to visit than others. Joe, Beth and Frannie live an idyllic life in the country with their Mother and Father. The Enchanted Wood was first published in 1939 so the parents’ roles are very traditional, Father goes out to work and Mother takes in washing to earn extra money. 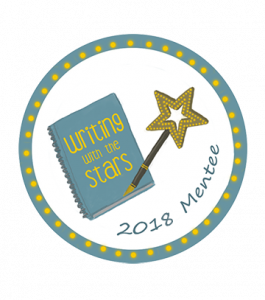 School is not mentioned in the story and the children are expected to complete various chores before they are allowed to visit their friends in The Enchanted Wood. The children visit so many different lands throughout the story that it is impossible to list them all here (a complete list can be found on Wikipedia). My daughter’s favourite land is The Land of Birthdays where Beth celebrates her birthday with a wishing birthday cake (be careful what you wish for! ), a wonderful birthday feast and party games. I would like to visit The Land of Take-What-You-Want where you can have whatever you want for free. I was very impressed that the children also made sure that they asked for things that their parents needed (including a shovel for Father) as well as the things that they wanted, despite being able to take anything at all they aren’t greedy. The children get into trouble on several occasions. Moon-Face’s quick thinking rescues them from The Magic Snowman in The Land of Ice and Snow and Silky’s clock helps them to escape from Dame Snap’s school for naughty brownies, pixies and fairies. Even in The Land of Birthdays The Saucepan Man’s wish gets them into trouble and again it is Moon-Face’s quick thinking that saves them. 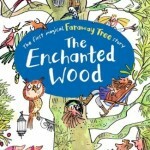 Although we have only just finished reading The Enchanted Wood my daughter is desperate to read it again – she loved it so much! 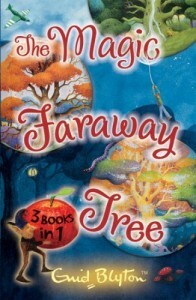 We have The Magic Faraway Tree Collection which includes all three stories. In The Magic Faraway Tree the children are joined on their adventures by their greedy cousin Rick. A very spoilt friend, Connie, who is staying with the children for the summer, gets them into trouble on several occasions in The Folk of The Faraway Tree. The Enchanted Wood is the sixth book that we have read for the 2015 Classics Challenge. Do you have a favourite Enid Blyton book that you recommend we read? I am so excited to be reading this series to my kids now. we are currently halfway through book 3. 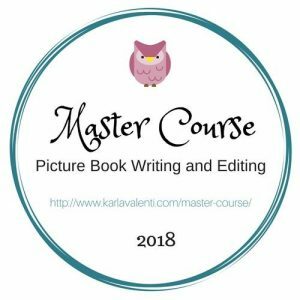 Here are our reviews of the first two books. My daughter is asking when we can read them again and we’ve only just finished the third book! Interesting comment Emma. 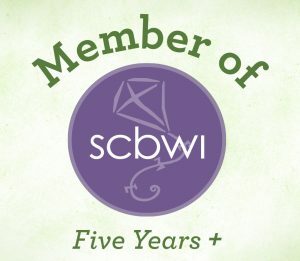 Did you read The Enchanted Wood as an adult or as a child? (Or both?! ).